Clogged gutters could lead to unwanted consequences such as water damage and insect infestation. 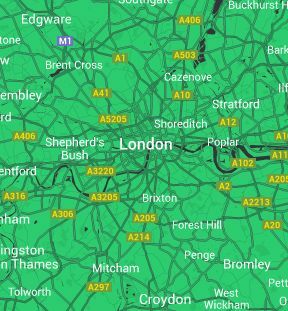 Prevent future property damages and simply book gutter cleaning in London from Tree Surgery London for a date that suits your personal schedule. Why Our Gutter Cleaning Services In London is Better? We wanted to make sure that you will find this gutter cleaning service reliable and convenient. 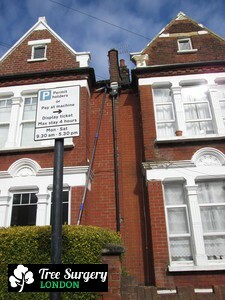 That is why our gutter cleaning services in London come with some extra advantages. Comprehensive Inspection Of The Guttering – The technician will carefully examine the condition of your rain guttering system to see if there’s anything wrong with it. Next, he will take a few photos so that he will provide you with a before/after material when he’s done. Cleaning With Professional Equipment – When the specialist is done with the inspection, he will begin the cleaning procedure. The expert will use a high-performance wet vacuum cleaning machine to remove the accumulated debris from the gutters and downpipes. The machine is equipped with an extended pole so it can reach as high as the third floor of a building from ground level. Post-Cleaning Report – When the gutter cleaner is done with the job, he will show some “before-” and “after-cleaning” pictures of your gutters so you can see difference. Consultation – If you have any questions, your gutter cleaner is there to answer all your questions. He will even share with you some useful rain gutter maintenance tips. Give Us a Call Today! 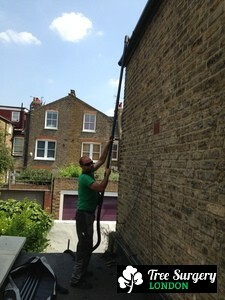 Book Your Gutter Cleaning London Service! Just dial 020 3404 3305 and speak to a member of our customer care staff. They will answer all your questions and put you on schedule. Also, you can book a service online by filling our booking form.